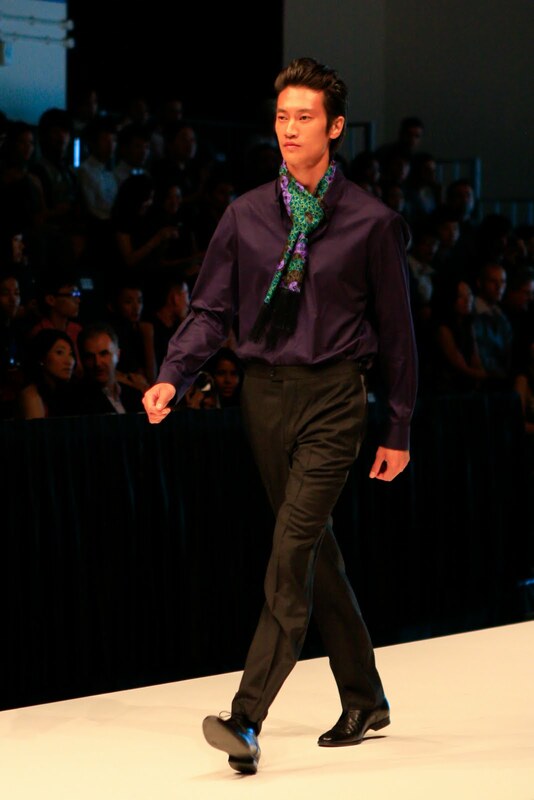 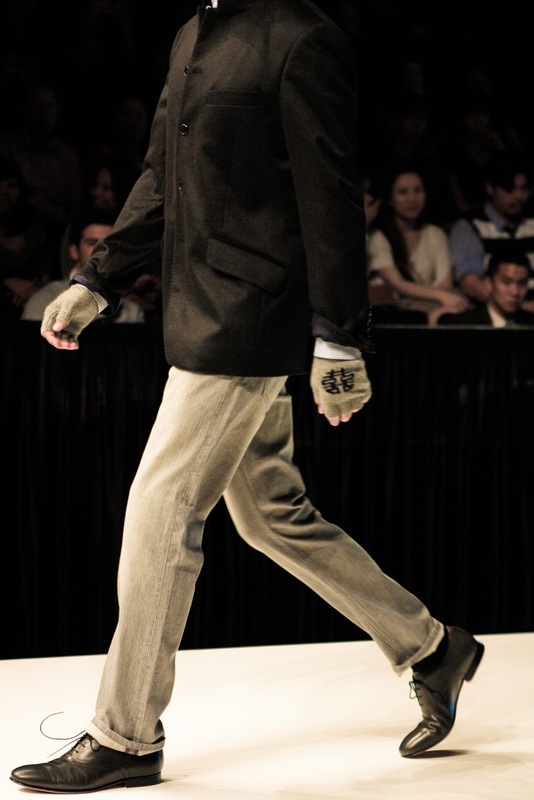 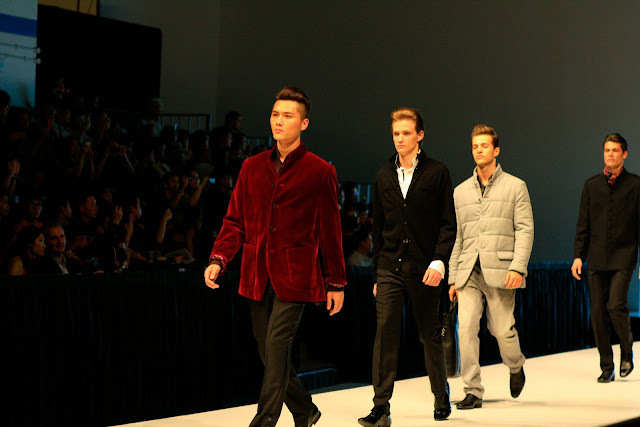 Originated from Hong kong- China, Shanghai Tang is one of the asian labels showcasing their Fall Winter 2011 in Singapore Men's Fashion Week. 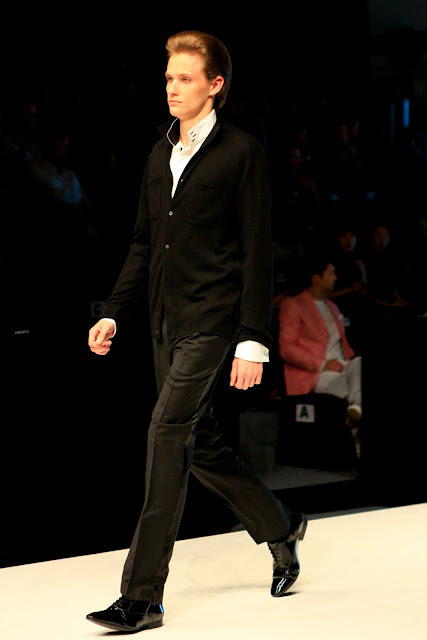 Think of Shanghai in 1920's, those pieces speak the classic cutting of men's oversized blazer in luxurious wool or in stripes classic pattern. 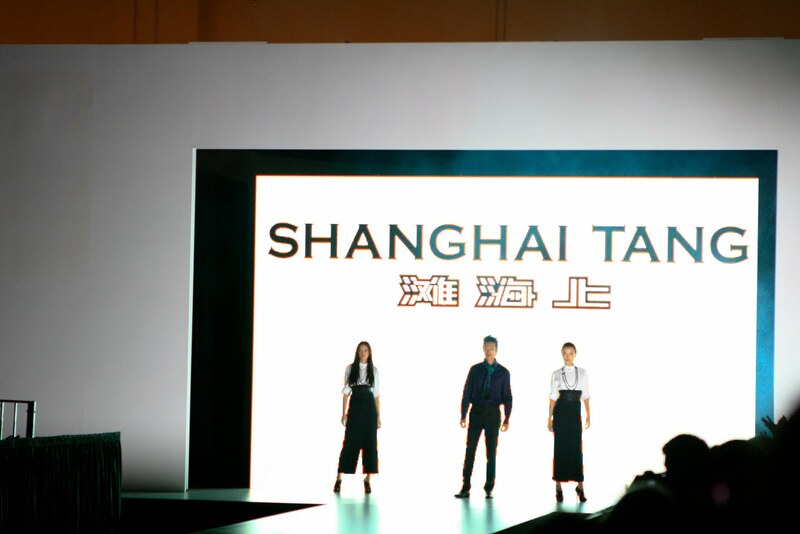 Like those vintage banker or businessman, Shanghai Tang fits that ideal corporate look into the year of 2011. 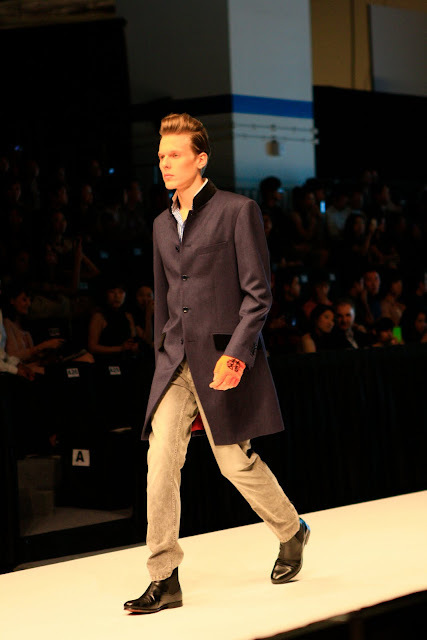 Another reminiscent of old goodies is the usage of mandarin collar for the cotton shirt and outerwear. 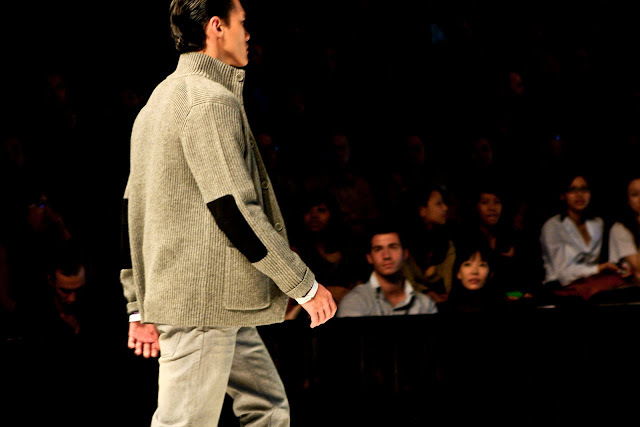 The classic collar cut interpretes the precious asian heritage that sends stylish corporate look as an alternative of modern neckties. Elbow patches and jewel tone dominates the outerwear collection. 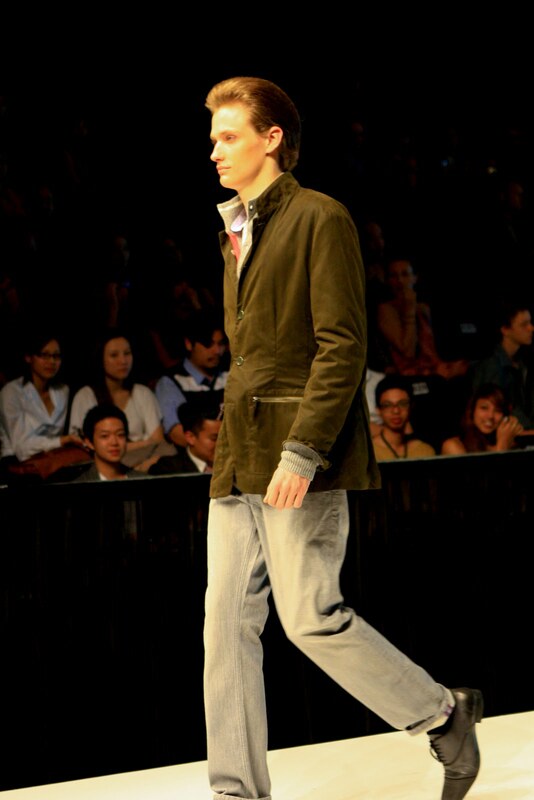 The colour pair up with neutral bottoms are intriguing. 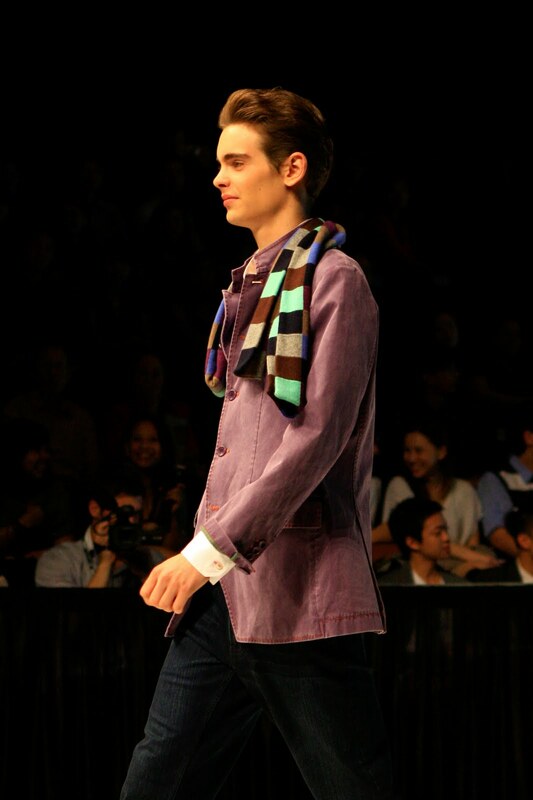 Fashion forward but not too much and still appropriate for business colateral. 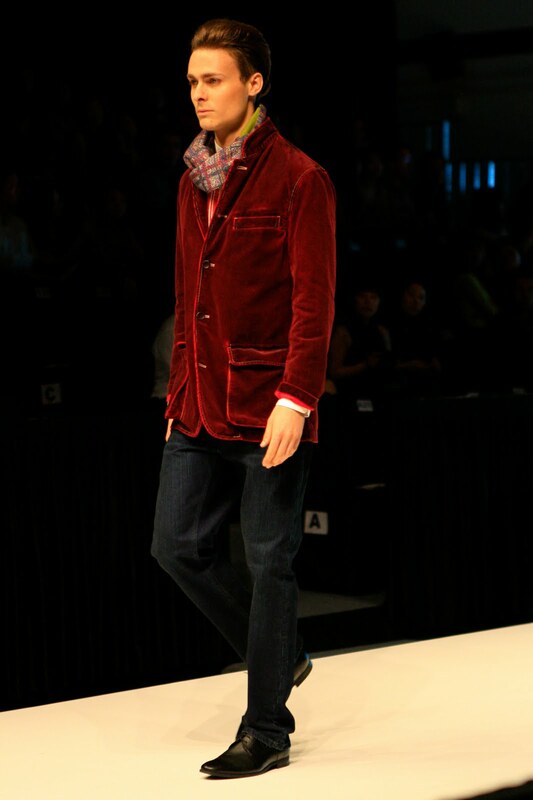 One of my ultimate favourite is the blazer with red/black pattern above. The 2011 spring trend bright colour blocking is shown through several pieces here plus the colourful scarves to brighten up the busy days of avid jetsetter.